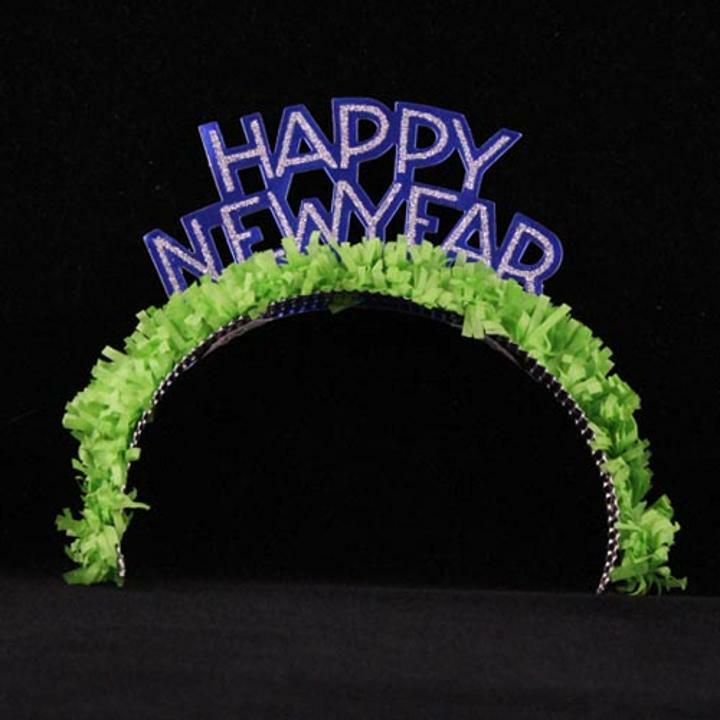 1 Happy New Year Sparkling silver foil fringed headband. Novelty headbands are a great inexpensive way to get your guests in the party mood. These lightweight headbands are comfortable so you can rock the party to midnight and beyond. One size fits most.